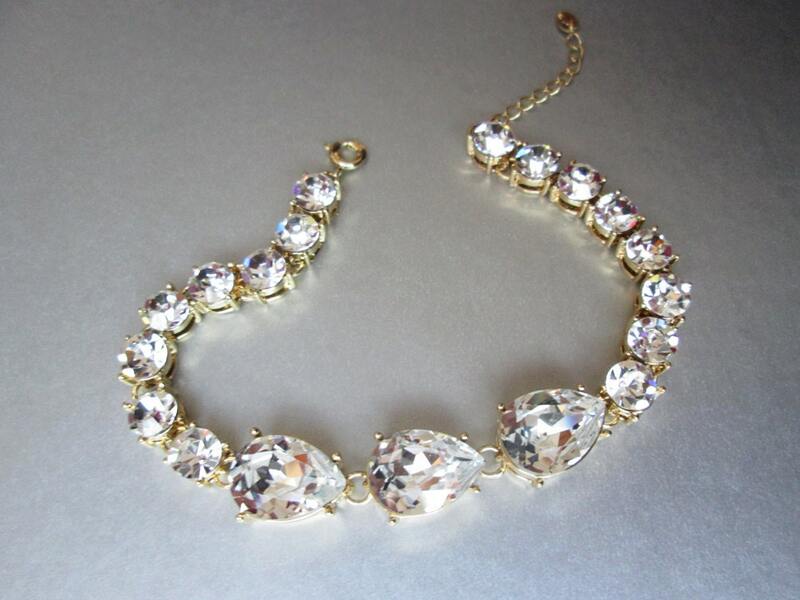 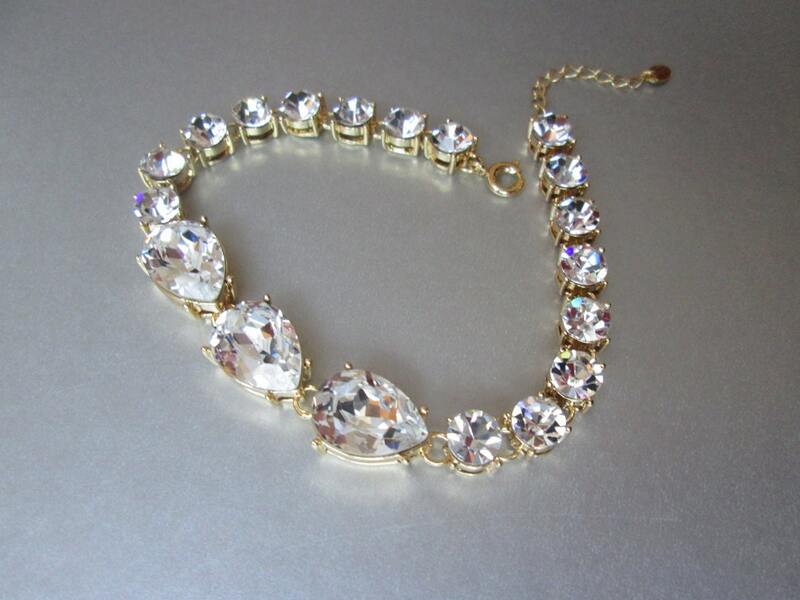 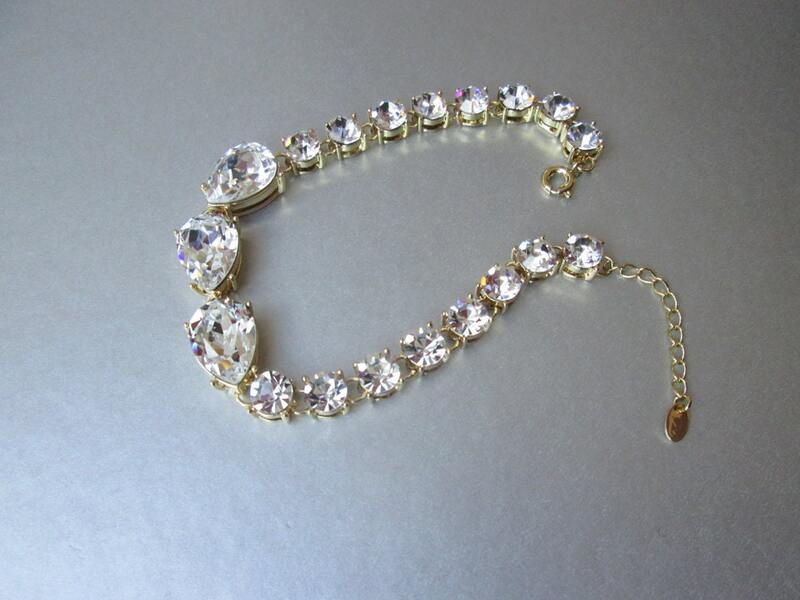 This bracelet is made with Swarovski crystals and comes in gold finish. 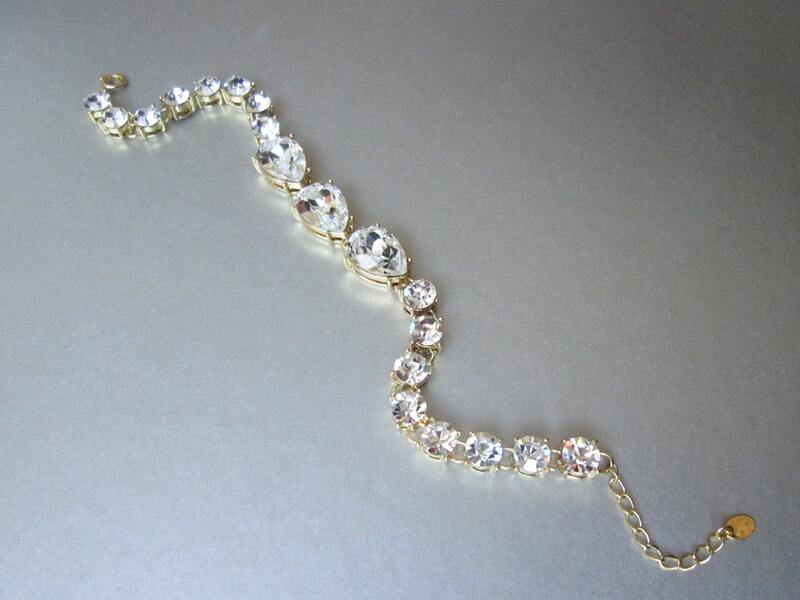 The bracelet measures 7 1/2" long and 3/8" wide in the center. 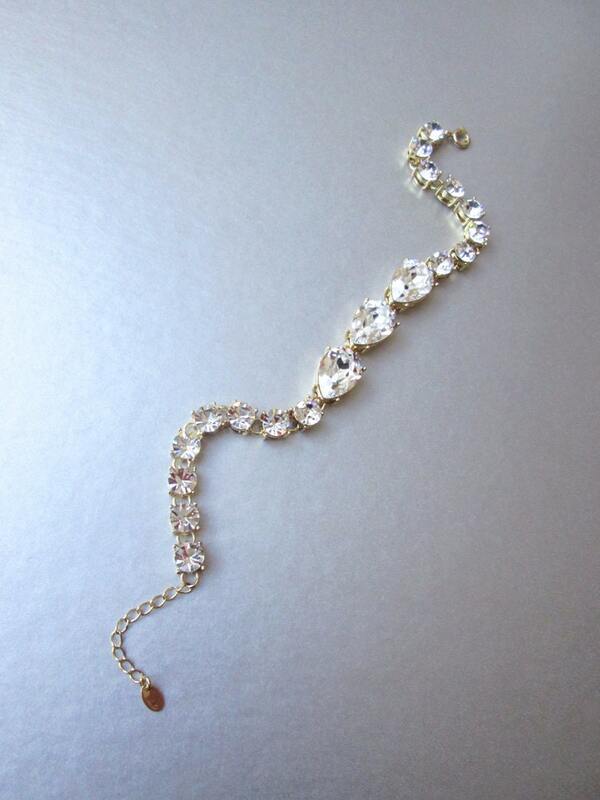 It comes with the extender and it can be extended to 8 1/2" long.